The shopping district known as Chinatown. 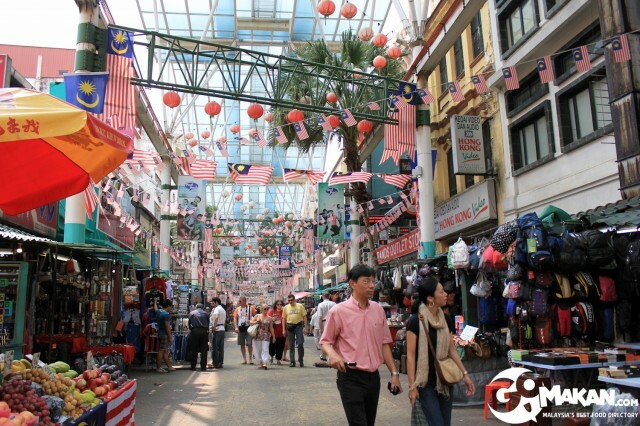 Petaling Street – or more fondly known as Chinatown – is well known as one of the busiest spots in the heart of Kuala Lumpur. The stretch of shops and stalls selling everything from food, apparel, souvenirs and imitation goods span across this pedestrian only street, manned by traders from all sorts of backgrounds trying to market their wares. Petaling Street is never the same throughout the day – certain shops are only open during the morning or night, in a way the street is “alive”. Petaling Street hosts a myriad of local, predominantly Chinese street food. It would be much too tiring to cover everything in one trip, so for this one we set off to discover what delectable delights are available during the day in Chinatown! 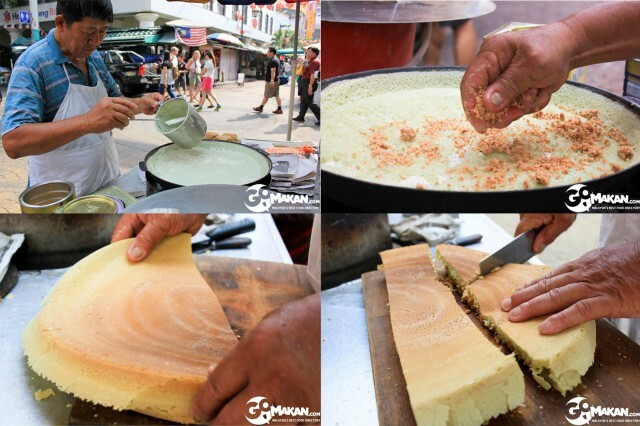 Let’s start with Min Jiang Kueh (Peanut Pancake): a classic sweet snack commonly found around pasar malams and markets, this pancake is usually made with ground peanuts and sugar sandwiched in between. 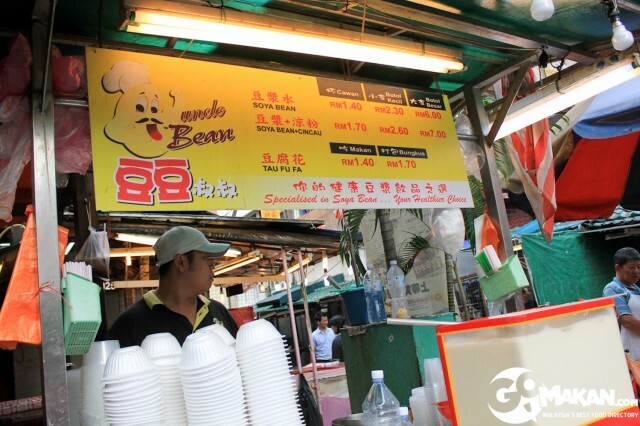 Next, we came up to a Tau Fu Fa stall named Uncle Bean! Most of these stalls have been here for decades, sometimes changing hands within the owner’s family. You know they’ve had a long history when they display the awards or articles in which they were featured in at their stall. Tau Fu Fa with brown sugar syrup. Few things beat a warm bowl of Tau Fu Fa. 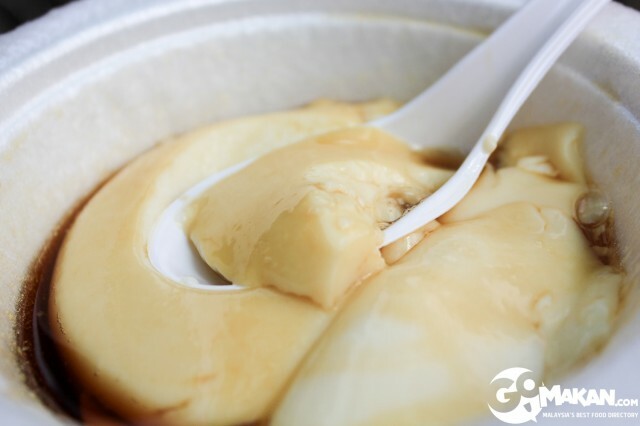 Smooth beancurd served in a bowl with either a white or brown sugar concoction, or if you prefer you can have it with soy bean milk instead. After two sweet entries, we needed some refreshing drinks to wash away the heat. Looking around, we next spot a stall selling cool Air Mata Kucing. 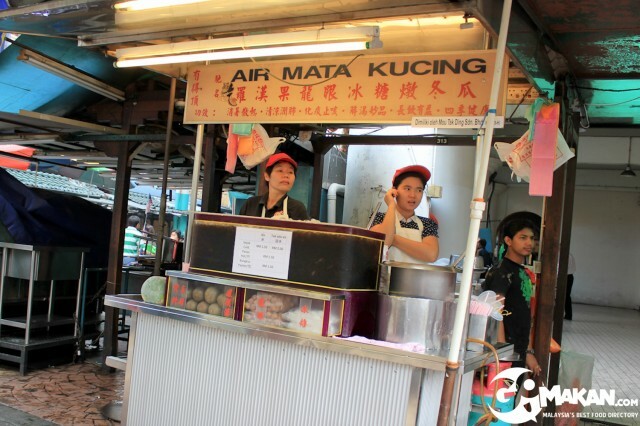 Air Mata Kucing drink stall. 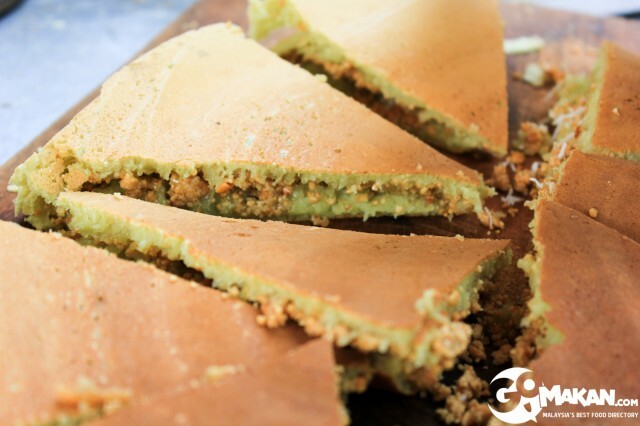 Air Mata Kucing is known within the Chinese community to be “cooling”, making it perfect for staving the Malaysian heat. Unfortunately the paper cups the drinks are sold in doesn’t make for a good picture, so we are unable to show the drink. 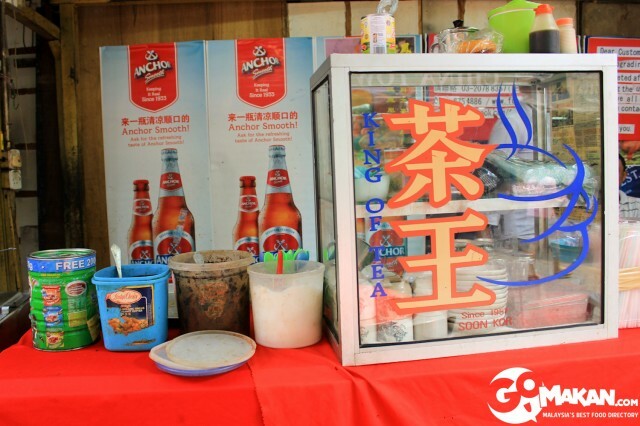 As we walked on we stumbled upon this stall serving beverages called King of Tea. With a name like that, we had to give it a try. The Chinese characters read “Cha Wong”, literally King of Tea. We ordered an Iced Milk Coffee. The coffee they use is local ground coffee and the brewing method used is old school, as the stall owner demonstrates for us. The local way to brew a cuppa. There’s a certain unique taste to coffee made the old school kopitiam way that sets it apart from the modern designer coffee you find at most cafés nowadays. 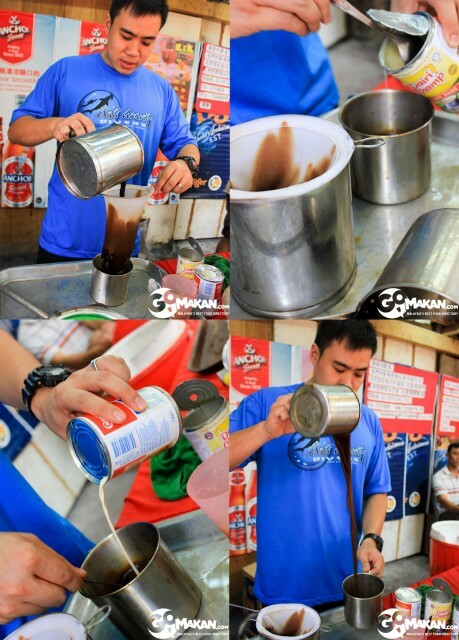 Maybe it’s the “pulling” between the mugs or the combination of condensed milk and evaporated milk? 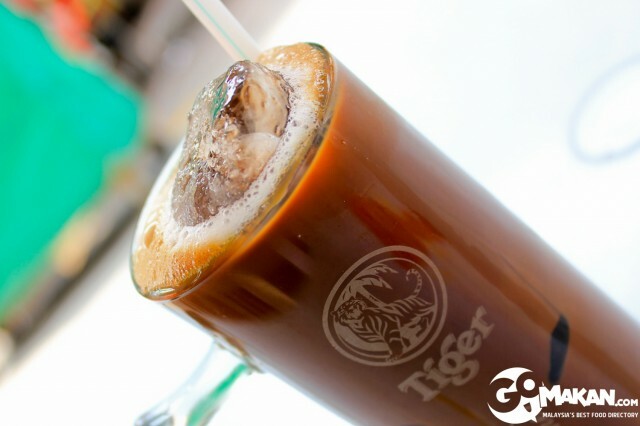 We don’t know for sure, but our glass of Iced Milk Coffee was aromatic and delicious. We sat down for a quick rest and to prepare our stomachs for more food, stay tuned for part 2 where we uncover more delectable delights!